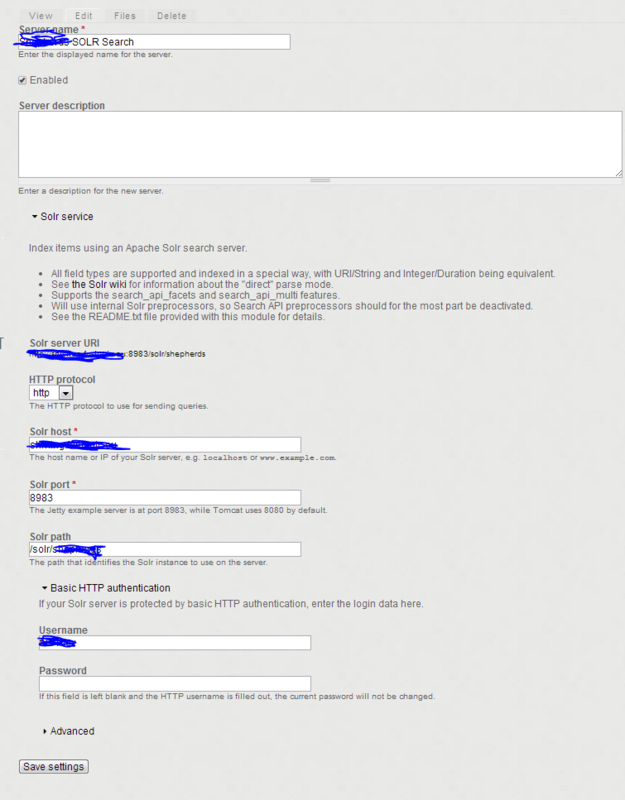 Configuration: I am using Drupal 7, search api and search api solr. Description & problem: I am trying to use search api and solr search(as a back end) to search for nodes. I have a solr server running in localhost:8983/solr/admin/. I create a solr server inside drupal configuration, then I create a node index using this server and I index the field: title. The index runs successfully and indexes my 11 articles. I am starting to become desperate here. The index is working correctly but neither through a search page nor through a view can I access the results. It says there are none :O Any ideas? There is a 'solr-devel' module to help http://drupal.org/project/solr_devel. 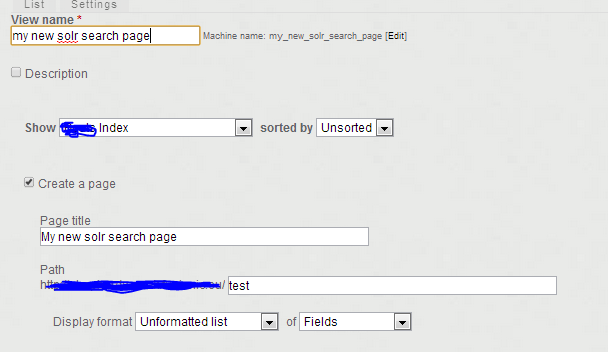 Make sure that the query works directly in the solr native search page. Isolate the drupal side this way. Make sure that you have updated schema.xml and solrconfig.xml with the ones that come with the module as per the module README.txt. Reindex. Move apache-solr-1.4.1/example/solr/conf/schema.xml and rename it to something like schema.bak. Then move the solr-conf/solr-1.4/schema.xml that comes with this Drupal module to take its place. Similarly, move apache-solr-1.4.1/example/solr/conf/solrconfig.xml and rename it like solrconfig.bak. Then move the solr-conf/solr-1.4/solrconfig.xml that comes with this module to take its place. I've setup Apache Solr successfully a few times, here's a look at my setup, please excuse the squiggles, I've redacted certain parts to keep client anonymity. I'm going to assume you're using the default Solr config found in the latest Search API Solr module (derivatives of this have always worked for me). You should have both a Server and Index setup with Apache Solr like the above, there should be the message "The Solr server could be reached" also like pictured. Make sure you have filled all fields out correctly if Drupal is having trouble reaching the Solr server, for example if you choose https, but haven't customised the default Solr config to enable https then it will not work. Now it's important to make sure you're indexing at least one field as 'fulltext' otherwise you can't perform any free text searches. It's usually a good idea to have Title indexed as fulltext. I don't know how you have your Search API pages configured, but I personally like to do it via views (because views is awesome). Make a view using your Index that you created. In the newly created view add an exposed filter of type Search: Fulltext. There's a couple of advantages with using Views so I'd definitely recommend this way over search pages. Let me know how you get on. Using Search Api Solr indexed search? Why is my view not displaying Solr index results?